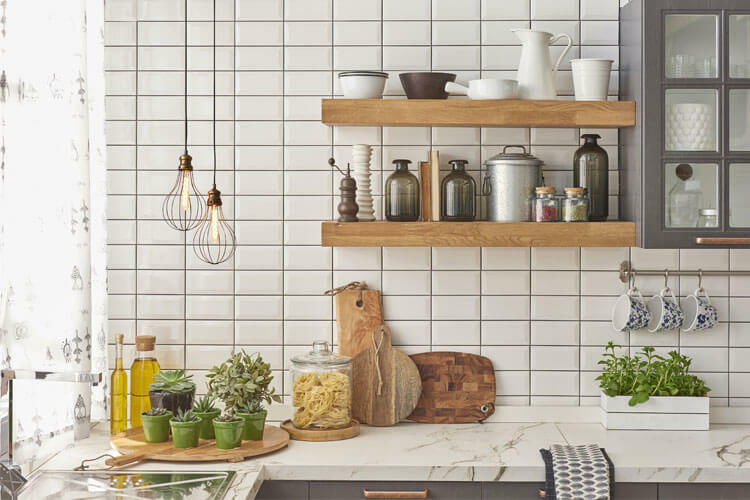 Looking to give your home and particularly your kitchen a makeover this year? 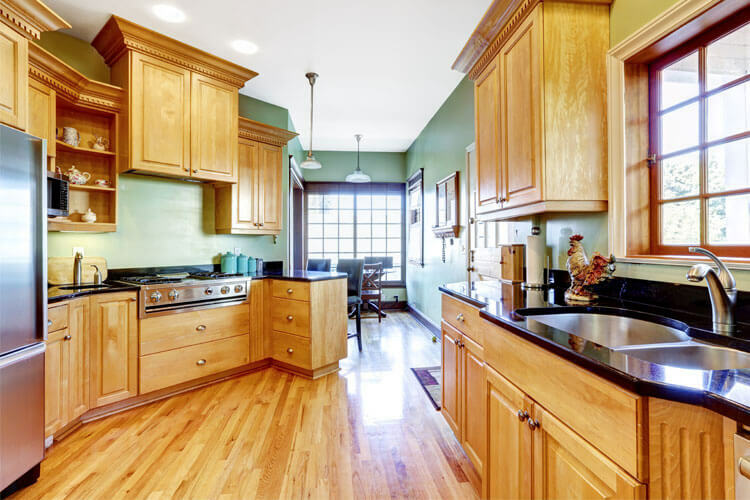 If yes, then look no further than those old & beautiful kitchen designs of Indian Kitchens which were not only vibrant and solid but very efficient too. After all, it is truly said that to select well among old things is almost equal to inventing new ones. Let’s have a flashback of some of the best “new” old designs for your kitchen which will make you go nostalgic and modern, at the same time. 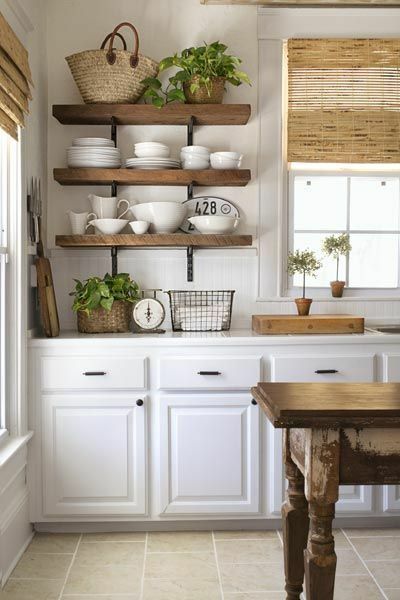 Open shelves are not going out of trend, anytime soon. In fact, they are coming in again! 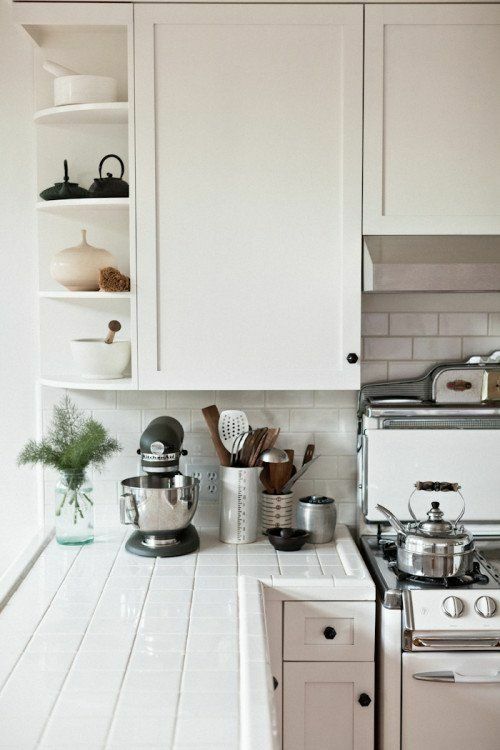 They increase the storage space and hold much more than those closed cabinets. No doors give a warm and inviting look and feel to open shelves. They make the visitors feel at home and help themselves to take whatever they need in the kitchenette. The shelves also give an illusion of a bigger kitchen space. 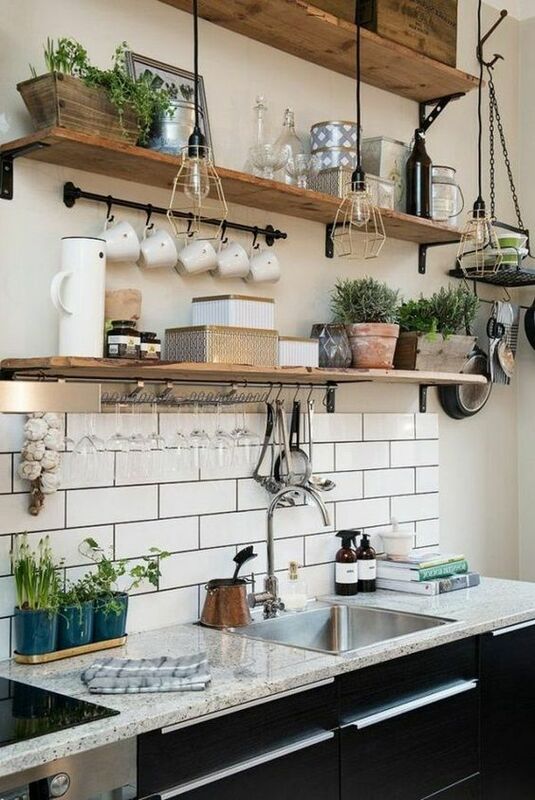 Also, the ease to organize that expensive dishware and clean the space from time to time makes an open shelf a smart and inexpensive move. Plants are making a comeback inside the kitchen. The household plants not only act as beautiful and sustainable home decor, they can also purify air and maintain humidity. They are an inexpensive way to add life & colour to an otherwise boring kitchen. Indian housewives always preferred growing herbs like mint, coriander and chillies in their little kitchen gardens. These have rich functional as well as aesthetic benefits which make them popular in India. Cabinets inside the kitchens of ‘50s and ‘60s came in bright colours including green, yellow, blue, and even pink. They made a transition to dark and light woods in between. However, the colours are creeping back again to kitchen cabinets and the change is here to stay. 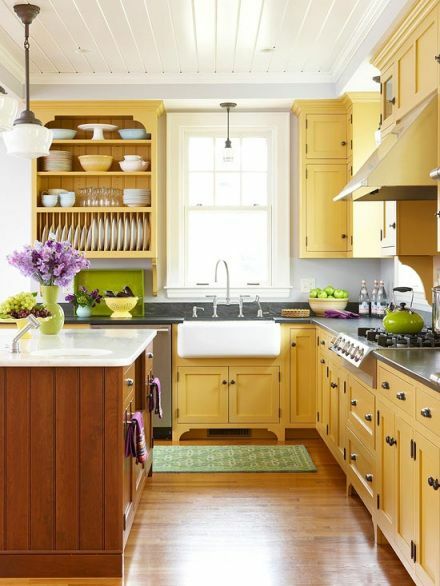 People, these days, prefer contrasting colours for their cabinets to give their cookhouse a more personalized look. There are a lot of colour-combos to choose from! If you are one of those people who grew in the ‘70s or ‘80s, you would probably remember those skirted upper & lower cabinets. It is as surprising for me as it is for you to learn that this unusual trend is actually taking place again. 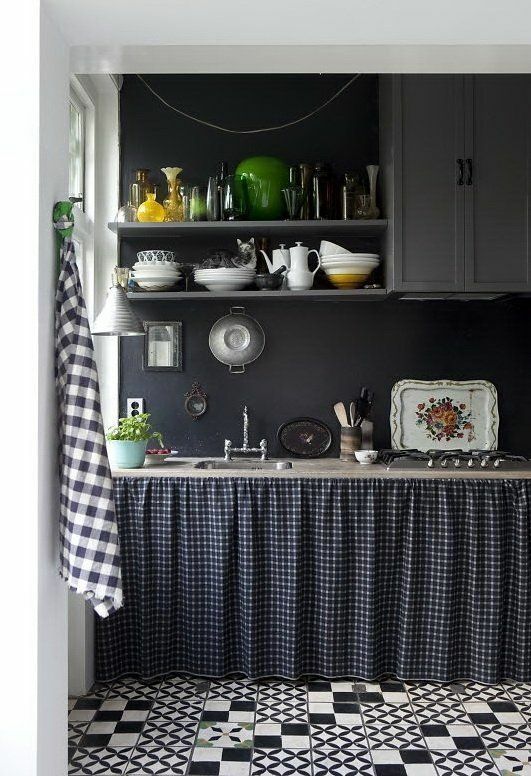 It goes with every kitchen, whether it’s country-style or minimalist. Just a good choice of cloth print to go with the tiles and you’re done. Tile countertops were widely popular in the ’70s and ’80s. The minimal design of the cooking counter brings out the simplicity in the kitchen. Since the functionality is critical at such a place, it is still easier to clean and keep it as hygienic as possible, with just a wipe of the hand!